Our king guestrooms have an air of restful simplicity, equipped with a king plush mattresses and pillows, invitingly fixtured baths, and stylish organic bath amenities by Grown Alchemist. A sanctuary for the soul, these rooms are where you’ll enjoy turndown service, in-room dining, and plush Frette bathrobes. 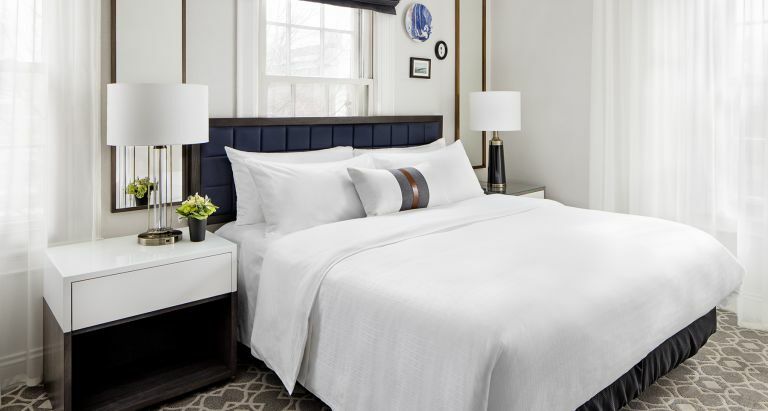 Our King guestrooms can be located in our lower level floors or in our higher floors which can include a view of the Charles River or our beloved neighborhood, Beacon Hill. Our king bed guestrooms are also available with ADA compliant features for mobility with roll in showers and for the hearing impaired.